There’s some drama behind the scenes of Criminal Minds. Variety reports star Thomas Gibson has been suspended from the CBS series after kicking a producer. On the crime procedural, Gibson plays Special Agent Aaron Hotchner. He’s one of the few castmembers who has been with the drama since the series began in 2005. The cast also includes Matthew Gray Gubler, AJ Cook, and Joe Mantegna. Gibson allegedly kicked the writer-producer over “creative differences on the set.” As punishment, the actor will be suspended for at least one episode and possibly two, with his chances of directing any future episodes likely off the table. Season 12 of Criminal Minds is set to premiere on September 28th. What do you think? Do you watch Criminal Minds? Do you think the suspension was warranted? 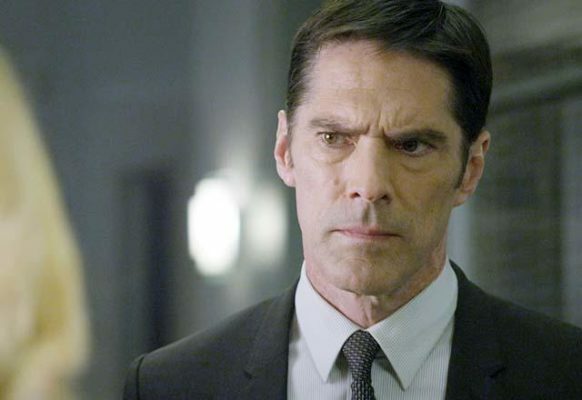 Criminal Minds: Thomas Gibson Tweets, Ponders Suit; What Are His Odds? Hi all, I love the show and have been a dedicated follower since the beginning. I will miss “Hotch” very much. Please forgive and bring him back! Boycott the sponsors and they will bring him back. The best way to bring back Gibson is to boycott the sponsors. A producer may carry a lot ow weight, but the sponsors carry a lot more. They should rename this series “Knitted Brow” PC pap. We all have our moments of losing our tempers, but please before you get physical, sit down and talk it out, please. I watch your show constantly, all of them re-runs, new exposures and I even go on Netflex too. I just love the way you all are like a family on the show. I am 63 year old woman with several medical problems, which when I am watching your show I forget about the pain because I am trying to find out who did it. On the one hand, this is kind of funny. On the other hand, it is kind of sad. Regardless of the reason, kicking someone a person disagrees with lies somewhere in the realm of a two-year old response. This happens to be my favorite show, and during the off-season I watch reruns. Somehow, I don’t think things will be quite the same without Hotch, although the suspension appears, on the surface, to be well deserved. Don’t know the deal here, but some of these writer/producers(Plec) make you want to give them a good kick. I’m not initiating violence just incase someone one on here comes whining about it.